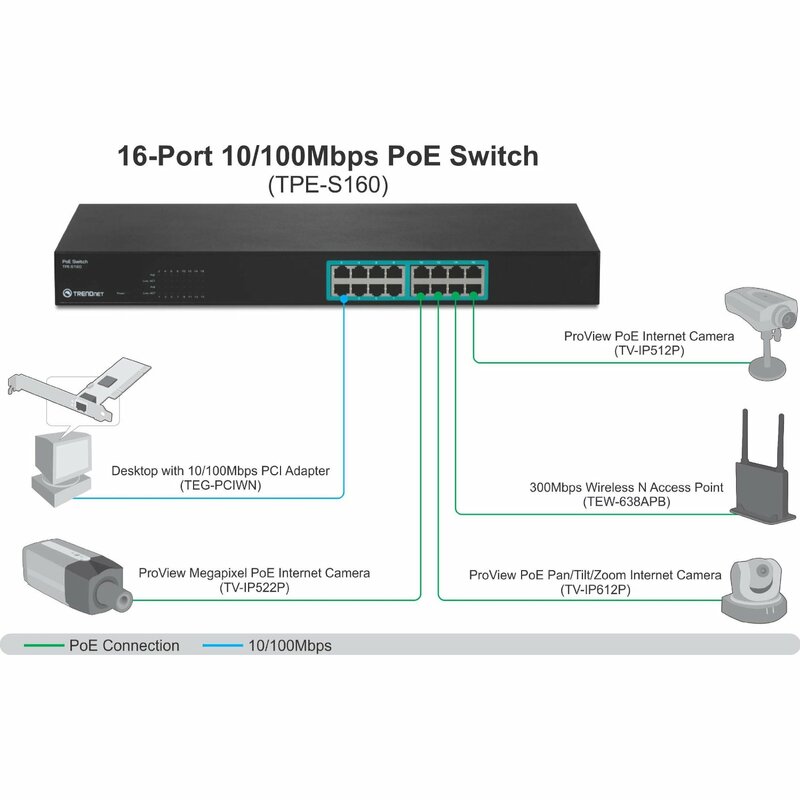 The 16-Port 10/100Mbps PoE Switch, model TPE-S160, reduces equipment and installation costs by delivering data and power over existing Ethernet cables to Power over Ethernet (PoE) enabled devices such as Access Points and IP Cameras. 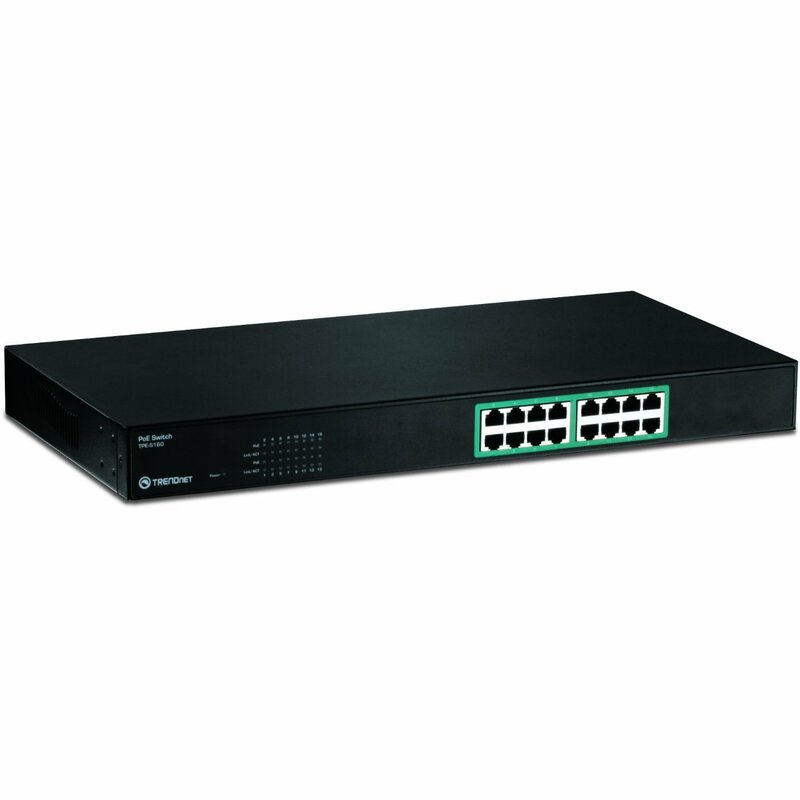 Boost office efficiency and reduce network congestion with a total switching capacity of 3.2Gbps. LED indicators display device status for easy power management and troubleshooting. 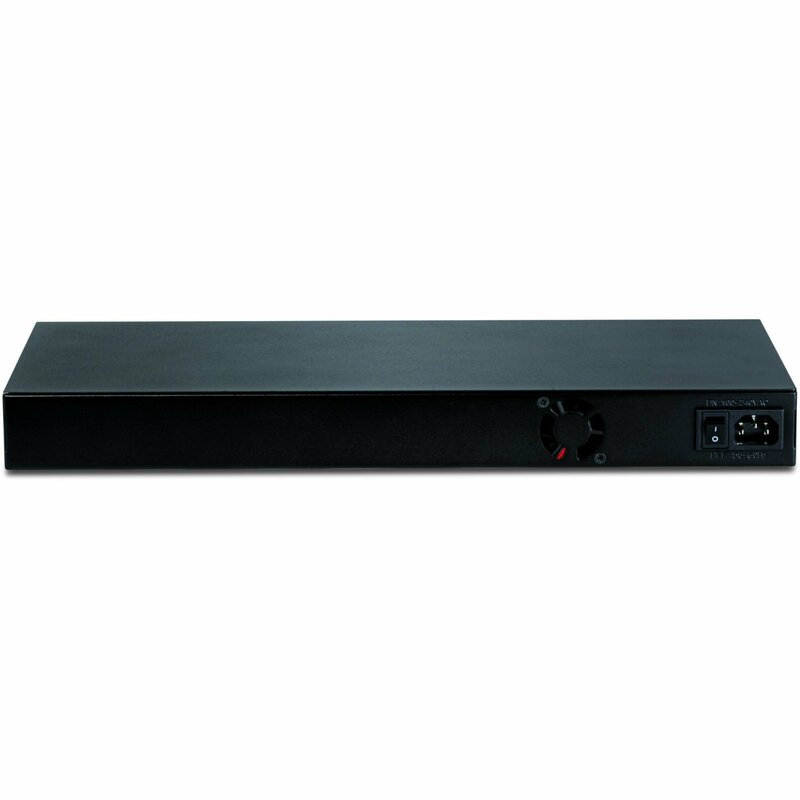 An internal power supply reduces clutter and delivers 15.4 Watts to each PoE port. A convenient on/off button is located on the back of the switch. 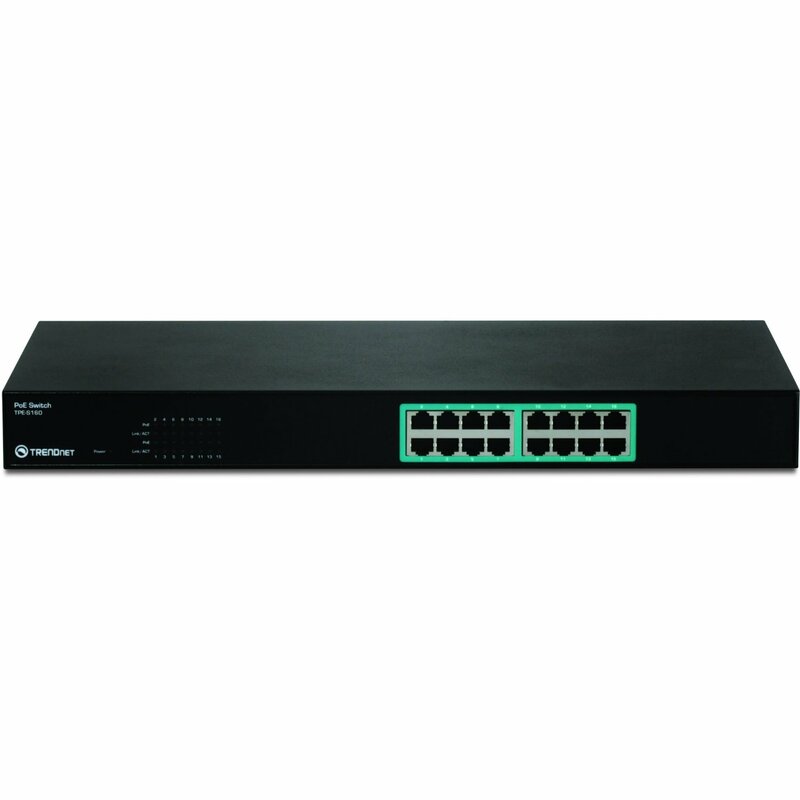 Non-PoE devices can connect to the switch—auto-sensing PoE technology cuts power to non-PoE connected devices. 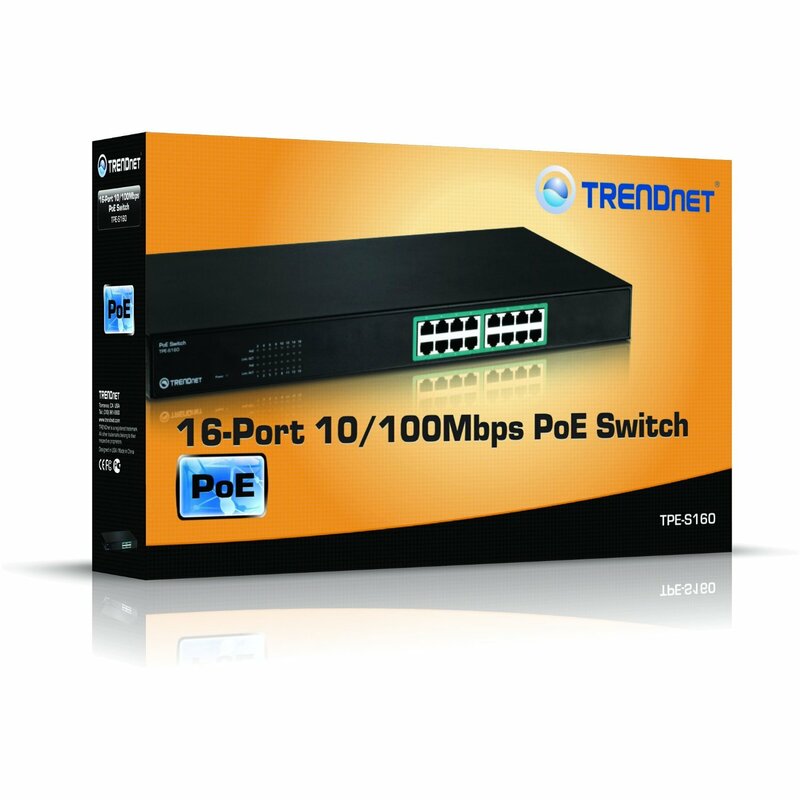 Use TRENDnet's PoE Splitter to install non-PoE devices in remote locations.